Mir S.K Talpur is highly accomplished professional lawyer with 24+ years of diversified experience comprising of energy sector, civil service, agriculture and politics. He commenced his career in Civil Service and served as Officer on Special Duty (OSD) Ministry of Sindh Government between 1993-1994. Mr. Talpur joined Pakistan State Oil Company Limited (PSO) as a Division Manager Retail Fuels (Hyderabad & Karachi) in 1995 and served in various roles in different departments till 1997. In 1998 Mr. Talpur established his career with Barrister Aziz-ul-Shaikh Law Firm where he started his work as a lawyer. Later, he spent a few years with diverse organizations like Shahadat Law Firm 2001 & Mir & Mir Law Associates 2001-2005.He was also elected for Nazim Mayor of Local Bodies in 2005-2008. 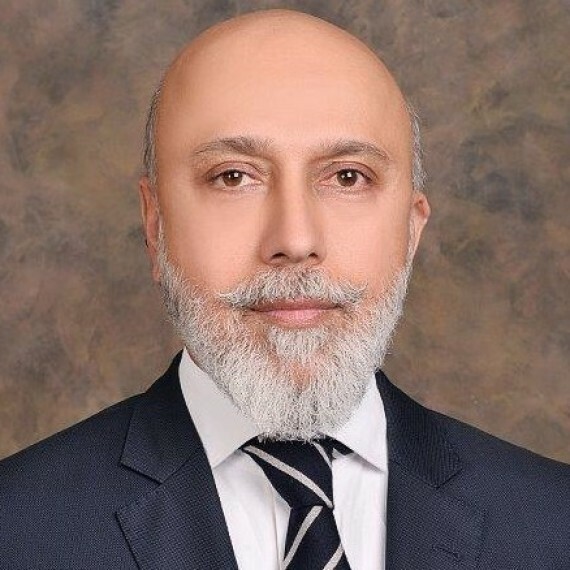 He rejoined PSO in Feb 2009 as a Deputy General Manager and was promoted in 2010 as a General Manager (GM) and in this capacity has served as Company Secretary and in various other departments like Legal, Chemical, Supply, Operations, Corporate Planning & Strategy & New Business Development till February, 2018. He also served PSO as Chairman of CSR, Chairman of Grievances Committee and was also an active member of the highest committees at PSO (ManCom & COED); moreover, he also served as a member of various other committees at PSO. His overall career comprises experience in various key positions and giving strategic input at senior management level.